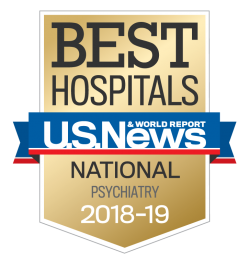 Electroconvulsive therapy (ECT) offers hope to people with severe psychiatric conditions, such as depression and schizophrenia, that do not respond to other treatments. Electroconvulsive therapy, or ECT, is a procedure that uses low-frequency electrical currents to alter brain chemistry. This treatment often reverses the symptoms of severe psychiatric conditions even if other treatments, such as medications, have not been successful. Electroconvulsive therapy has been available since the 1930s. In the past, it was called electroshock therapy and used a strong electric current. Today’s ECT is nothing like the procedures used decades ago. We now use sophisticated machines that deliver tiny pulses of electricity. Studies show ECT successfully lessens severe symptoms in eight out of 10 people. At Sheppard Pratt, we use the latest techniques and maintain the highest care standards for care that’s safer and more patient-friendly than ever. Our experience from performing more than 3,000 procedures each year helps more people stay out of the hospital and live a good quality of life. Transcranial magnetic stimulation (TMS) is another technique that uses energy to stimulate the brain (neurostimulation). This option uses a powerful magnet to treat symptoms of depression that do not respond to two or more medications. If you cannot have ECT, you might benefit from TMS therapy.